The aim of the department is to educate engineers able enough to adapt themselves to any field of industry, not to mention machinery industry. In our five-year college education, general education and specialized education combine effectively in order to attain this aim. We lay stress on fundamentals, design and drafting, experiments and mechanical practice. Subjects related to mechatronics are also taught to cope with recent technological innovations. The third and the fourth year students take trips to major industrial companies. Special lectures are given all through the year. Graduation research helps students to develop the ability to solve difficulties and to acquire latest skills. The name of the department has been changed to the electrical and computer engineering, in April, 2003. This change corresponds to the current employment situation. Many engineers are needed in the information technological industry field, to be expressed with the keywords like a multi-media, a robot and an information technology. The lower year class students learn the basic subjects of the electric and electronics system, and the information processing during five accademic years. In the higher year classes, it is possible for the students to choose the one of two courses which are the electric power application course and the information application course. The program of our electric power application course covers subjects such as high voltage engineering, power transmission and distribution, electric machinery, and energy conversion engineering. The information application course covers subjects such as digital signal processing, information and image processing, information theory, programming, and operating systems. The goal of our department program is to provide the graduates with entry level positions for not only as electrical engineering but also computer engineering for the broad range of opportunities available in industrial fields. Computer aided technology has made rapid and remarkable progress with electronic engineering. A new manufacturing system such as robotization has been introduced in production processes, aided by computer-assisted technology and system engineering. We aim at training engineers vital enough to lead the new information-oriented age. The curriculum covers a wide range of subjects, with mechanical engineering as a core, from information processing and control to electric and electronic engineering. At the same time, we put stress on computer-aided design and drawing, workshop practice, experiments and graduate research. The students are expected to be engineers of practical abilities, deeply versed in computerization and manufacturing automation on the basis of mechatronics and system engineering. Chemistry produces various substances to improve living standards. Fertilizers, chemicals, petrochemicals, fine chemicals and photoelectric articles are produced by it. Chemical engineering is a branch of learning which plays a leading role in manufacturing these products. The students first make a study of the fundamentals of chemistry, then of the methods of operation, design and control of manufacturing plants and apparatus. Many hours are allotted to practical training and experiments to accomplish intended purpose. The curriculum contains computer engineering. We help the students, through graduation research, to develop their solving abilities for problems unaided and to be engineers proficient enough to keep up with technical innovations. The department was reorganized in 1995 to cope with highly-developed technology. Two courses are offered in the upper classes. One is the process engineering course and the other is the bioengineering course. The former is on separation and purification of materials and on design and control of chemical apparatus. The latter is on biotechnology. The students can make a choice about which course to follow for further studies. The aim of general education is to train students to broaden their minds and master the basics which specialized subjects are built on and develop from. Our curriculum ranges from high school level to university level, including a lecture on a suggestive topic given by an extramural lecturer. Practice and experiments are in any sense regarded as very important. 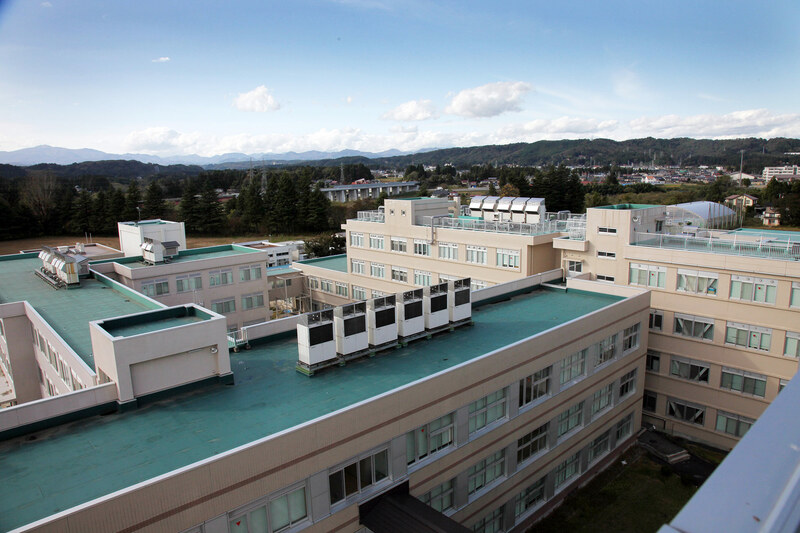 The facilities attached to general education, the language laboratory, the gymnasiums, and the physics laboratory, for example, are well equipped. We strive to enrich the quality of general education so that the students' intellectual and physical developments can be steady and substantial. This course comprises three components: Mechanical Engineering, Electrical and Computer Engineering and Intelligent Systems Engineering. In this course, each student will acquire not only a deeper knowledge of their own specialist subject, but will also develop a basic knowledge of other fields. Therefore, graduates of this course will be able to respond to the development of new technologies and future research in a flexible way. The overriding principle aim of this course is to train creative and R&D-oriented engineers. The development of chemical engineering is closely related with our lives: from innovations and improvements that lead us to solve environmental issue, energy issue, and to exploit bio-resources availability. Therefore, chemical engineers are required to study, design and operate processes to provide novel technologies, new materials, and energies in an ecologically sustainable manner.